This G.I. type face paint compact is all you need to create dozens of camo combinations and patterns. 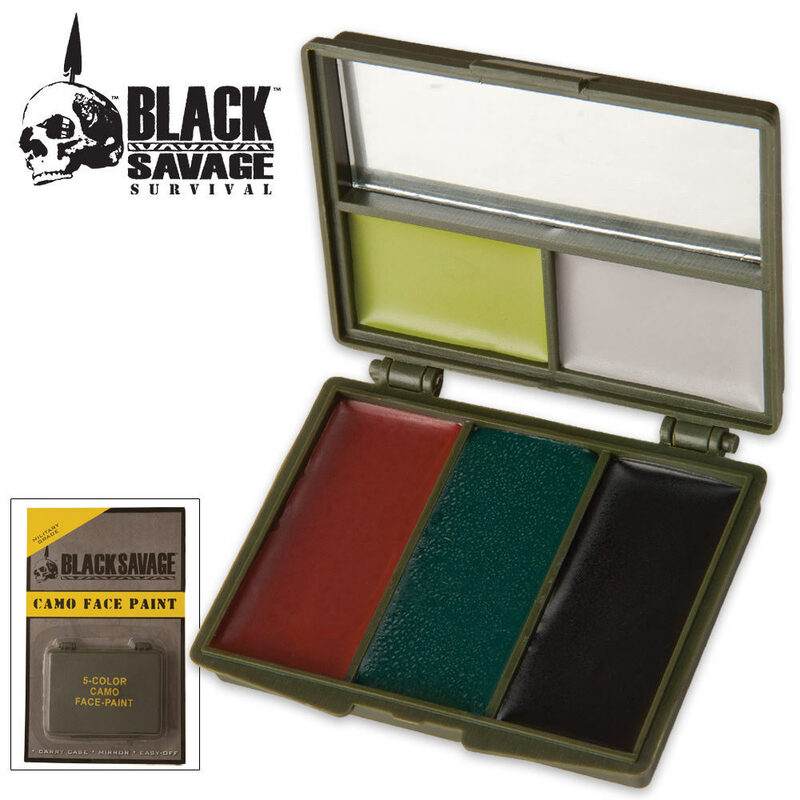 Includes the following shades: Light green, Grey, Black, Olive and Brown. Another great product from CH.